Many of you know I decided to swear off sugar and processed foods when I was about five months into my fourth pregnancy. That was a year and a half ago and I'm still going strong. I am amazed how much better I feel, how keeping weight off is no longer a struggle and how clear-headed I've become about my food choices. I think taking the sugar out of my diet has fostered a better relationship with the food I eat. I've noticed I never over eat any more. My body has a much better sense of what it needs and when it's full. I love healthy food. I love to make it, talk about it, and most of all — eat it! So, as the second blog on creating a healthy 2011, I offer my adaption of a healthy granola from a book called The Green Diet by Mary Jolley. Since I believe in making big batches, this one makes a lot more than you'll use in one day. Preheat oven to 325 degrees F. Spray a baking sheet with cooking oil. Mix all wet ingredients in a seperate bowl. Combine the dry and wet mixes and stir until well blended and moistened. Spread the mixture on a baking sheet and bake for 10 minutes. Stir. Bake mixture for an additional 10 minutes or until lightly toasted and golden brown. While still warm, pour some into a bowl and enjoy with some milk. Mm..mm..mm...warm goodness. Take remaining granola, once cooled, and store in an airtight container, preferably away from everyone else so there's plenty for you! 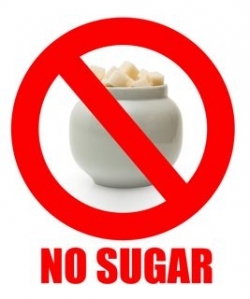 If you're worried about how to eliminate sugar and not be an ogre with your family or forbid your children from eating sugar...watch for future posts. Feel free to ask me questions about giving up sugar. I'm more than happy to answer. please post more about this pam. i know i SHOULD give up sugar, but the bottom line is that i just don't want to enough. and yet, i really should. i'd love to read more of your insights (and recipes). thanks!! This sounds super delicious! I will have to try it! Way to go Pam. I went off sugar briefly in high school and my parents loved how even-tempered I was. I've been on a bit of a sugar binge since the holidays. My husband loves processed food (although he's eating less since marrying me and I'm eating more since marrying him). We both like to eat out. I also feel like I did when I was a teenager - that you almost feel outside of your culture at events where there is food. You realize how many events include food and how often food is used as a reward.